These Easter Cake Mix Cookies are loaded with pastel sprinkles and M&M’s, folded into a delicious cookie dough made with cake mix! 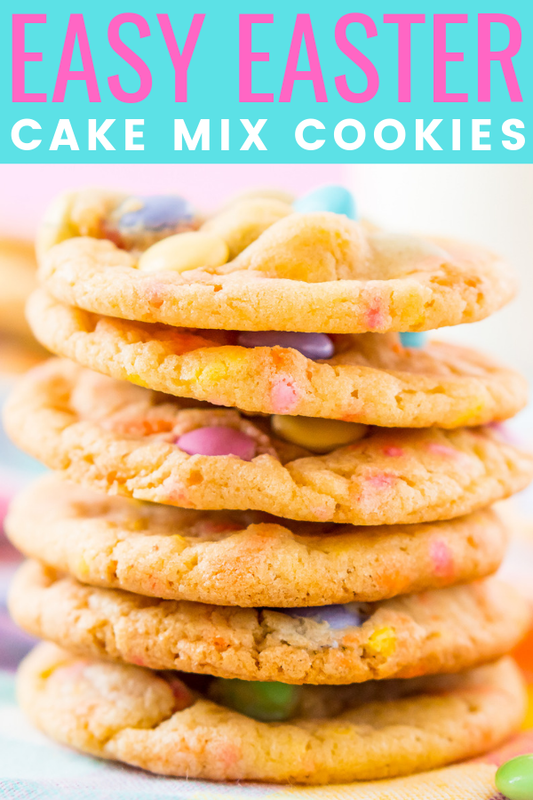 Cookies or cake, cookies or cake … with Easter Cake Mix Cookies, you don’t have to choose! With Easter just over a week away, this Cake Mix Cookie Recipe is perfect to share with friends and family. 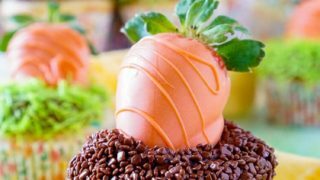 That’s because kids and adults alike will love these scrumptious treats! Needless to say, if you’re a fan of cookies, cake — or birthday cake goodies — you have to try these! This festive dessert is full of pastel sprinkles and M&M’s. They’re moist, soft, chewy, and taste so good with a glass of milk or a mug of coffee! Plus, those yummy mix-ins add sweetness, crunch, and of course, a bit of chocolate. 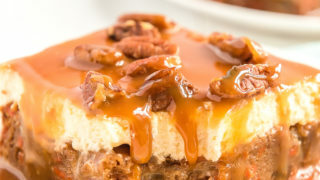 Another reason to love this recipe? It’s super easy to make. Cake Mix Cookies are a wonderful recipe to make with kids (who love sampling the M&M’s). It calls for yellow boxed cake mix, flour, brown and white sugar, baking soda, vanilla, an egg, and all that pretty candy! You could use another flavor of box mix if you’d like. However, I find that white and vanilla tend to taste a little “off” and prefer yellow mix for these cookies. These cookies should not be confused with Cool Whip Cookies which also use a cake mix. They are very different recipes – but both are delicious! Sift together the flour, cake mix, baking soda, and salt into a medium bowl and set aside. In a large bowl or stand mixer fitted with a paddle attachment, cream together the softened butter and both sugars until light and fluffy. Add the egg and beat for 1 minute on high, then add in the vanilla. Scrape down the sides of the bowl as needed. Fold in the M&M’s and sprinkles with a rubber spatula. After chilling, preheat the oven to 350 degrees F and use a medium cookie scoop to measure the dough into balls. Roll the dough between your palms to create tall balls of cookie dough and place them about 3 inches apart on a parchment lined cookie sheet. Press some additional M&M’s into the tops of the balls and bake for 10 to 12 minutes. Look, I love cake as much as the next girl. But Cake Batter Cookies give you all that scrumptious flavor in fewer steps than a layer cake. Of course, frosting is optional. For the record, I wouldn’t judge anyone from pairing these cookies with my Chocolate Buttercream Frosting to make sandwich cookies! Whether you’re hosting the holiday or headed elsewhere, these pretty Easter Cookies are a tasty way to celebrate. Of course, these babies travel easily and are equally delicious for days afterward! Brunch, lunch, or dinner, they can be enjoyed at any gathering. You can also stick a few in the kids’ — or grown-ups’ — Easter baskets. Can’t decide between cookies and cake? These Easter Cake Mix Cookies are scrumptious, simple, and full of pretty pastel colors — perfect for the upcoming holiday! Want to make these for a different holiday? Simply switch out the sprinkles and M&M’s to match the season! These Easter Cake Mix Cookies are loaded with pastel sprinkles and M&M's, folded into a delicious cookie dough made with cake mix! Fold in the M&M's and sprinkles with a rubber spatula. Press some additional M&M's into the tops of the balls and bake for 10 to 12 minutes. Slightly adapted from Sally's Baking Addiction. Roll dough into balls after 2 hours of chilling and place balls in an air-tight container. Frozen cookie dough is good for up to 3 months. Let thaw in the fridge before baking or cook frozen and add 1 to 2 minutes to the total bake time. The uncooked dough is good in the refrigerator for up to 3 days.